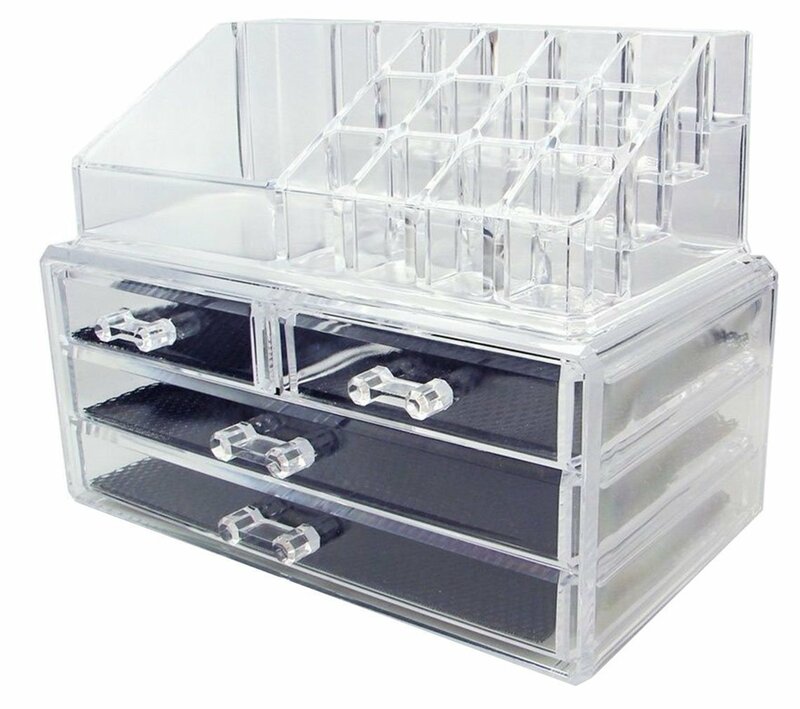 I love makeup organizers like these. 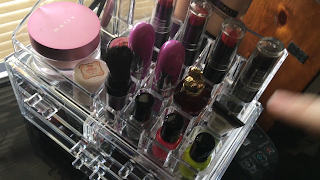 I never had seen them until I really started watching other YouTubers and also makeup artists show their collections. I was drooling and Had to have one! I have now gotten several ones from different brands both from Amazon and also locally. This one is by far better made than any of the others I have. When I picked up the box I could tell it was heavier than most of the ones I have. I was not disappointed! The acrylic is well cut and not sloppily made. The drawer liner is standard but is great for keeping things from sliding around. I really love the long drawers for my liquid lipsticks (they are multiplying!) So many things I could place in this. One step closer to a better organization of my makeup. I have been working on my path of practicing and using my makeup more day to day and part of that is having it in a place I can see it. 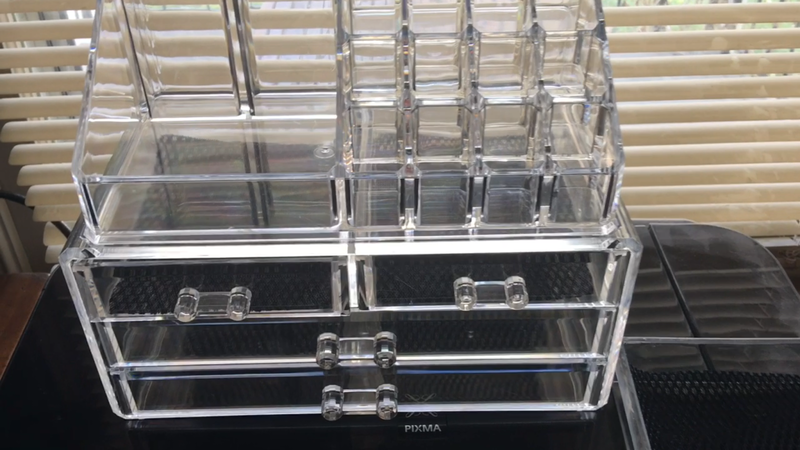 The clear makes for a classy clean look and allows me to see whats inside. 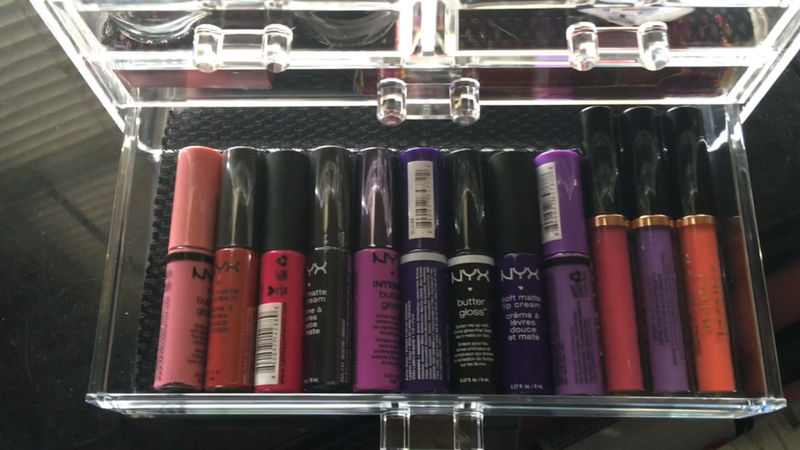 I admit I love to just stare at them on my makeup table. This stacks well with the other brands that I have. 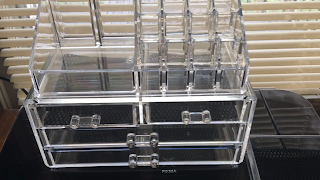 The only ones it doesn't stack well with is the ones from TJ maxx those are a little different and the grooves doesn't meet up on those with any not from tj max. Easy to fix by using a rubber drawer liner between to keep them from slipping or by using hot glue to run a could of lines on the bottom to add for some grippage, You can use these for nail art supplies and put minis in the lipstick places and full sizes in the open area. gems, fimo canes, and more can go into the drawers allowing for a fabulous nail station. The possibilities are only limited by your imagination.